Bangladesh, a country in South Asia sharing the coast with Bay of Bengal to the South, India to the West and North, and Myanmar to the Southeast, at present Bangladesh is a hub for leading apparel brands for readymade garments is known for its largest delta. Rivers in this low land nation flowing up to numbers as 700 in this small country has developed a massive landscape of breathtaking greenery. 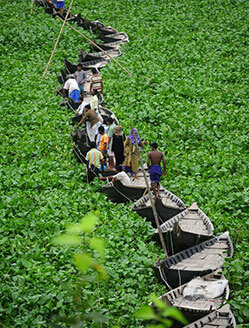 Everywhere travelling on boat, here is as common in this river land as to travel by road. At cities or by a town when you get yourself puzzled with traffic, fumes, noise and confusion, it is best to reach there by boat silently and sneaking. Don’t be in rush when visiting Bangladesh; it is place of relaxation and joy, so enjoy it with a feeling of ultimate solitude. As a physical attributes of the country, a larger portion of the Bangladesh is situated between broad delta constituted by Ganges and Brahmaputra rivers. A country with an approximately 144,000 square kilometres area Bangladesh is flat low lying fertile land gets recreated with alluvial soil as deposited by the floodwaters. The only recognized hilly area is Chittagong Hill Tracts close to Burma with an average height of 1003 meters. What makes Geography of Bangladesh unique is an ever flowing good number of rivers from flat territories. The Ganges joined with Yamuna River is thus known as Padma and gets the name as Meghna when flows further on. These river systems when flowing down into the sea develops into one of the largest delta of the World. The land of diverse culture is a place that keeps mesmerizing people from all over. Each and every region of India has something unique to offer its customers coming from round the world. The people, their culture, costumes, languages, appearances, complexions, etc, differ from one place to another and that difference is very much visible in its surroundings. The reason behind so much variance is its varied topography, which dramatically differs from place to place. The topography of India plays a major role in giving a distinct look to its every nook and corner, which is also found in the costumes and cuisine of its people. One can easily find the difference between the urban life style and the rural life style in India. On one hand where the urban people are too modern and westernized, on the other hand the rural people are too conservative and superstitious. Finding multiplexes and high-techbuildings with to-the-minute amenities is not a new thing in them etropolises, while the small cities are not far behind in the process of development. In contrast to this, the villages are far behind in the development & modernising process. However, here lies the essence of India, as on your tour to India you will get everything of your choice, be it a high-tech ambience or a cool & easy going environment. At present, the cities of India are in the process of huge transformation,which is why you might not come across the real taste of India here, whereas, villages still carries the real image of India, where you can see, hear and taste the real India. Altogether, the reason could be innumerable and unimaginable, but Wildlife tours IndiaIndia will never desist from offering diverse sights, smells and sound sthroughout your journey. Right from the northern Himalayas to the southern India Ocean, Western desert to extreme eastern tropical rain forests, India is just incredible. The diverse topograhy of India givesone immense opportunity to indulge in various types of activities, besides just sightseeing. The tourist can involve themselves in adventure sports tours, Ayurveda & Spa tours, Nature tours, Wildlife tours, and much more. 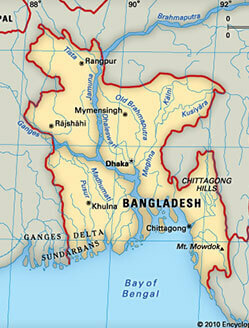 The ancient history of Bangladesh emerges the Bengal region of India. It was ruled by the same emperors that had crowned central India as well including Maurya (321-184 BCE) to the Mughal (1526- 1858 CE). It was even part of British India, between 1858- 1947. During the partition of India in 1947, the majority of Muslims from Bengal went to Pakistan and thus East Pakistan was made. However, East Pakistan, about 1,000 miles away from West Pakistan was utterly neglected and was quite distinguished from West Pakistan in many aspects including language and culture. It was under military rule from 1969 to 1971. In the parliamentary election of 1970-71 East Pakistan separatist Awami League won every single seat allocated to the East and after failed talks declared Bangladesh independent from Pakistan. With the help of Indian Troops, Bangladesh became an independent nation on 11 January, 1972 and became an independent parliamentary democracy. Sheikh Mujibur Rahman was the first leader of Bangladesh, from 1972 until his assassination in 1975. The current Prime Minister, Sheikh Hasina Wajed, is his daughter. The culture of Bangladesh showcases various forms of music, dance, drama art and craft and literature. The Bengal Renaissance of the 19th and early 20th centuries inspired by renowned Bengali writers, saints, authors, scientists, researchers, thinkers, music composers, painters, and film-makers have developing into Bengali culture has further impacted the culture of present day Bangladesh. 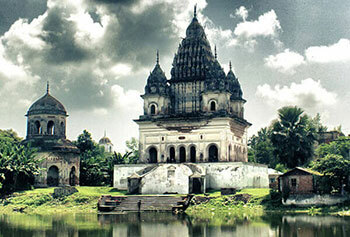 The present day Bangladeshi Culture is influenced by Islam, Hinduism, Buddhism and Christianity. The culture of Bangladesh showcases various forms of music, dance, drama art and craft and literature in Bangladesh. 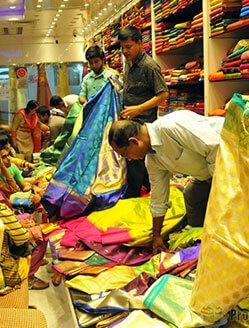 Fairs and festivals are an integral part of daily life in Bangladesh. From festivals, a common citizen of Bangladesh retrieves immense joy and happiness. Pahela Baishakh celebrated on the arrival of Bengali New Year is an important festival of the country enjoyed with great gaiety and joy. 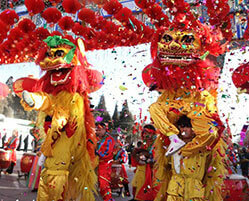 Various cultural programs including tournaments, boat races are held at entire country. Langalbandh Mela at Sonargaon at a distance of 27 km. from Dhaka is being celebrated by Hindu community every year is also an important cultural festival of Bangladesh. Some other important festivals of Bangladesh are Independence Day, 21st Feb, the National Mourning Day and World Mother Language Day, Eid-e-Miladunnabi, Eid-ul-Fitr, Eid-ul-Azha, Muharram, Durga Puja, Christmas and Rabindra & Nazrul Jayanti. A country with an ample number of rivers flowing and situated across the coast is natural to have an appetite for fishes. Hilsa is a national fish with a special taste and flavour. You will get a good number of Hilsa recipes for all the good reasons across all seasons in Bangladesh. Mutton and Chicken are other popular dining options in Bangladesh. Mixed vegetable curries are also savoured deliciously, where; potato, eggplant, squash and tomatoes are being used as the staple ingredients. Gourds, tubers and certain root vegetables are also too common. Dal is also used with rice. Fast food restaurants and bakeries are common at all the major cities including burgers, kebabs, spring rolls and vegetable patties. 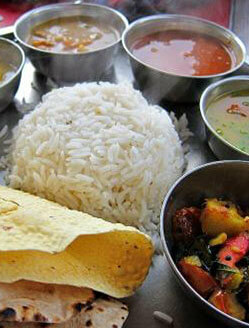 To enjoy the tastes of Dhaka you can tour around the old Dhaka to taste Haji biriyani, Nanna biriyani and a lot more. One of the largest manufacturers of ready-made garments for brands as Nike, Adidas and Levis you can get them in Bangladesh at famous shopping areas at Banga Bazaar and Dhaka College after bargaining on considerably lower prices. A shoppers’ paradise for handicraft lovers you can get contemporary paintings, wood works, shital pati (mattress having cooling effect), bamboo decoration pieces, cane and conch shell products, gold and silver ornament, cotton, silk, and others. Being a largest producer of jute, in Bangladesh you can buy from a good number of jute bags and jute made handicrafts. The country code for Bangladesh is 880. Landline services in Bangladesh are not generally found so broadly due to its geographical conditions. Bangladesh Telephone Company Ltd (BTCL) is the public sector and only landline Services Company in Bangladesh. Mobile phones are comparatively easier option for communication as Banglalink, Grameenphone are the most popular services over there. Citycell, Robi, Teletalk and Airtel are the minor services provider. Broadband based internet services are widely available in all the larger towns in Bangladesh. WiMAX service is also now available with some internet service providers. You can also find Wi-Fi connectivity in some places around the big cities. Bottled water is also recommended as tap water is generally unsafe for foreign stomachs and it is always advisable to boil your own water and let food from street vendors should be freshly cooked and boiled. Mosquitoes are another menace for travellers around the rainy and humid seasons. Net coverings are provided even at the cheapest hotels in Bangladesh. You always should consult with your doctors about cautions against malaria and typhoid fever. Acceptable Electricity norm in Bangladesh is 220V 50Hz. You will get three types of electrical outlets in Bangladesh, the old British standard BS-546, the newer British standard BS-1363 and the European standard CEE-7/16 "Europlug". On a trip to Bangladesh, it is always advisable to pack all three adapters for your electric devices. Tipping in Bangladesh is not compulsory, but is understood being as a humane to offer 5 -10% of the service as a token of appreciation to low wage earning serving persons as porters, drivers, restaurant and other staff. Lying under sub tropical monsoon climatic conditions the period between June to September happens to be of immense rain in Bangladesh and flooding is very common there. Thus one must avoid visiting Bangladesh during this time of the year. The best time to visit Bangladesh is from October to March when there is chilly in January and February and monsoon season is over. Citizens of all countries except for Barbados, Bhutan, Botswana, Burkina Faso, Congo, Fiji, Gabon, Gambia, Grenada, Guinea, Guinea-Bissau, Ireland, Jamaica, Kenya, Lesotho, Malawi, Mauritius, Saint Kitts and Nevis, Seychelles, Swaziland, Western Samoa, and Zambia require a visa to enter Bangladesh. You can process your visa at your home country, however, visa on arrival is also offered to citizens of most of the countries. Shahjalal International Airport in Dhaka is the most prominent Airport in Bangladesh and is the primary entry point into the country. Chittagong and Sylhet are other cities that too receive international flight and services. The national carrier is Bangladesh Biman with a limited number of flights to Middle East, Asia and Europe. The private air carrier United Airways (BD) Ltd operates connect Dhaka to Bangkok, Delhi, Dubai, Karachi, Kathmandu, Kolkata, Muscat,Jeddah, Riyadh, London and Kuala Lumpur. For reaching into Bangladesh by bus one need to board on regular comfortable a/c buses from Kolkata to Dhaka via the Haridaspur / Benapole border post. Private Bangladeshi bus companies Shohagh, Green Line, Shyamoli and others to operate daily Kolkata-Dhaka-Kolkata bus services. One can also reach into Bangladesh by road from Shillong, Siliguri and Agartala. Train Services between India and Bangladesh started once again in April 2008, after 42 years in April 2008 named as Maitree runs twice a week between Dhaka and Kolkata. For touring within Bangladesh airport services are available at all division capitals and some other small cities. United Airways, National airline Biman fly on domestic routes. There are also a good number of luxurious air conditioned bus services connecting major cities and popular tourist destinations in Bangladesh if you wish to travel the country on Bus. Car driving is another option, however, is advisable to hire a driver for it. A country with about 230 big and small rivers it is a great experience to tour the country with boats and steamers. Bangladesh is sub tropical monsoon climatic nation. There lies about six seasons in Bangladesh ranging from winter, spring, summer, monsoon, autumn and late autumn. The average temperature ranges between 9C - 29C in winter and 21C - 34C during summer months. In Bangladesh, you can choose between economy and budget hotels to 5-star hotels depending upon the city and location of the place you have decided to stay on your trip to the country. 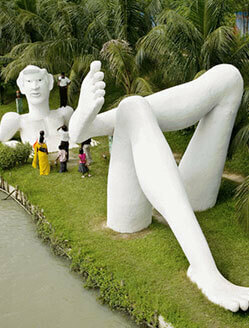 Dhaka is the capital city of Bangladesh which is also the largest city of Bangladesh. The city of Khulna with one of the oldest river port of Bangladesh is a major destination in terms of tourism in the country. It provides access to the famous wildlife sanctuary of Sunderban where travelers visit in a large no. to spot the Royal Bengal Tiger. Rabindra Complex dedicated to the world famous poet Rabindranath Tagore is also a major attraction of Khulna. The beautiful fishing port with one of the world’s longest uninterrupted sandy beach, Cox’s Bazaar is the major tourist attraction of Bangladesh. 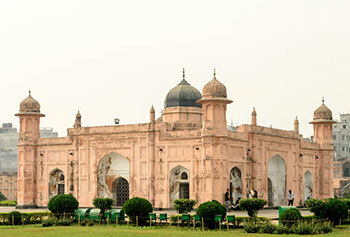 ‘Tajhan Rajbari Museum’ or ‘Rangpur Museum’ is a famous tourist attraction of Rangpur city. Begum Rokeya Museum, Paharpur Buddhist Monastery and Kantanagar temple are also some of the majour tourist sites at Rangpur. 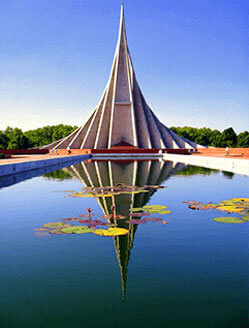 Known as the city of silk in Bangladesh, Rajshahi is a tourist destination and education hub. Tourist visiting Rahshahi visit the bazaars for buying silk fabrics. Mango business is a remarkable thing about this city. Bandarban is one of the most beautiful places in Bangladesh. 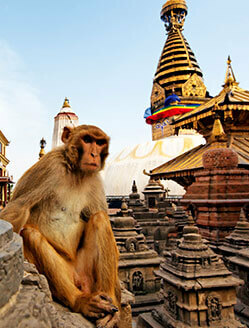 Buddha Dhatu Jadi, beautiful lake and water fall and many Buddhist temples attracts tourists to visit this city. Why we are different than others? 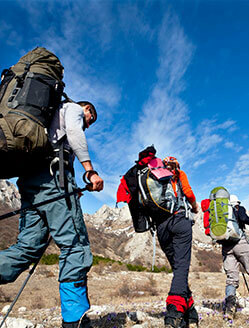 We value your investment on the trips and thus, there is no need for you to worry. 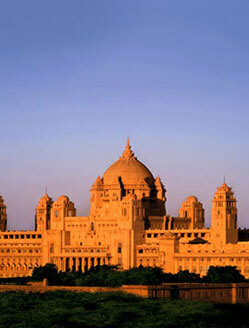 Our team is going to give you the most splendid accommodation, sightseeing, eateries and every other thing. Our drivers and guides are trained for hospitality. You don’t have to pay the full amount in order to undertake any of our trips, instead what you have to do is just pay us the respective advance amount prior the trip and then provide the remaining amount 45 days prior to the trip. The payment can be made very easily via online and online mode of payments. For online payment services, you can use the credit/debit cards and for the facilitation of offline payments you can use our Swift Bank transfer services.